Below is the timeline of the History of Balintawak, Villasin Balintawak and Balintawak Sugbu Arnis Eskrima Inc as told by GM Kaloy. Balintawak Arnis was founded by GM Anciong Bacon. One of his top students, GM Jose Villasin, was the father of GM John Villasin, GM Kaloys’ childhood friend and instructor. Balintawak Sugbu follows the original teaching method of Villasin Balintawak. Villasin Balintawak focuses on speed, power, accuracy and effectiveness of every move, it doesn’t focus on theatrics, instead it is for real work application. 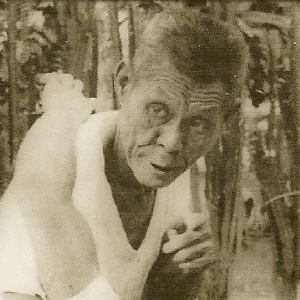 Venancio “Anciong” Bacon was the founder of Balintawak Style of Eskrima/Arnis. He studied under the Saavedra’s in one of the major Eskrima Schools in Cebu, the Labangon Fencing Club in the 1920’s and was a close family friend. The club later collapsed due to infighting and lack of interest by some. In 1932, the Saavedra’s and Cañete’s then created a new club, mainly composed of the old Labangon Fencing Club members, the now famous “Doce Pares”. After the 2nd World War, the remaining Saavedra’s lost interest in Eskrima. Not satisfied with the direction the club is going, Anciong decided to break away from the club and formed his own. His first gym was located in Balintawak street, in Cebu City. Anciong was an expert in different styles of Eskrima and was also skilled in Boxing, Grappling and Jiu Jitsu (sometimes referred as Combat Judo). He combined all of these to produce the very unique and rough style of Balintawak. Anciong’s style of teaching was not very systematic, students learned Balintawak Eskrima techniques at random, there was no set way. One of Anciong’s prolific students, Attorney Jose Villasin, set about systematizing the way of teaching and invented the “Grouping System”. This system enabled students to understand and learn techniques in progression. The grouping system is used by Attorney Villasin’s family and by his close friends in teaching Balintawak Eskrima. Attorney Villasin invited Teofilo Velez to learn Balintawak Eskrima, Teofilo Velez agreed with one condition, Attorney Villasin has to fight him full-contact. Velez then was an amateur boxer and a doce pares practitioner was impressed at how his attack was not able to penetrate Attorney Villasin tight defense, Velez then started his training under Attorney Villasin in his residence in Sikatuna Street. John Villasin, one of Attorney Villasin’s sons inhereted his father’s skills in Balintawak Eskrima, teaching when he was still barely 10 years old, he was known to be very quick and accurate. Realizing his potential, Attorney Villasin taught John religiously the family’s style. John then went on to teach Villasin Balintawak to many of the current grandmasters we know today. Gm Carlo “Kaloy” Campaña is a childhood friend of GM John Villasin, he first trained when he was 12 years old under the tutelage of his good friend GM John Villasin. His training was based primarily on the grouping method developed by the Villasin’s and the fighting system of Anciong Bacon. 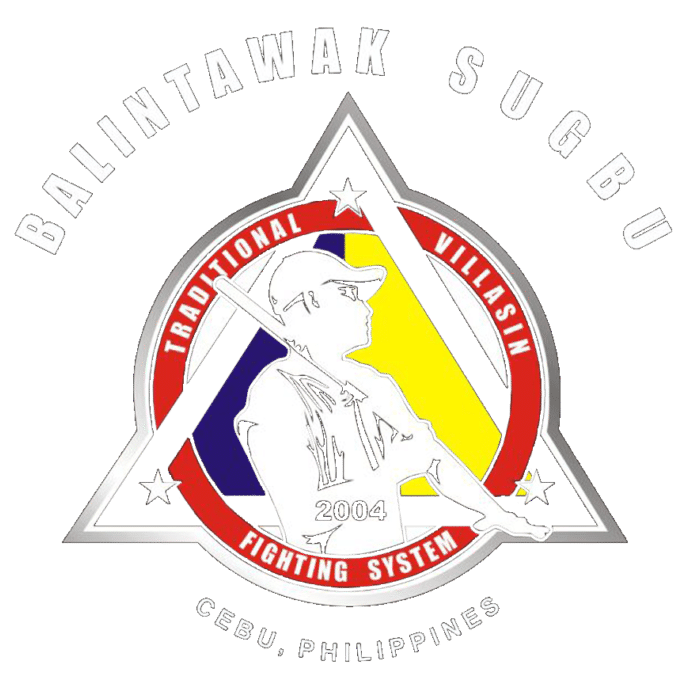 GM Kaloy served as the chief instructor of the Villasin club for several years until he decided to put up his own club, Balintawak Sugbu in 2004. With his background skills in Judo and Boxing, he created a unique yet deadly style of fighting applicable for street duels and self defense. A no nonsense art with a strong emphasize on speed, power and accuracy. He has incorporated a lot of practical techniques in stick, knife fighting and hand to hand combat that could possibly end a fight in seconds. Today, Balintawak Sugbu is gaining a lot of attention from local to foreign students. Has performed a number of demos, seminars in FMA events / gatherings. The club’s style of fighting has been well received by the FMA community and has been favored by a number of reputable Eskrima masters. A recognition that has long been overdue. Balintawak Sugbu Arnis Eskrima Inc. teaches the Traditional Villasin Style of Eskrima. Currently based in Jugan, Consolacion City, Cebu, Balintawak Sugbu is headed by GM Carlo “Kaloy” Campaña. Disclaimer: Balintawak Sugbu Arnis Eskrima Inc. does not represent the Villasin Family, claim ownership of their style or is associated with any existing legitimate Villasin Family owned/run clubs. We are an independent body that teaches the style as taught by GM John Villasin.